Anterolateral ligament (ALL) reconstruction as an adjunct to anterior cruciate ligament (ACL) reconstruction remains a subject of clinical debate. This uncertainty may be driven in part by a lack of knowledge regarding where, within the range of knee motion, the ALL begins to carry force (engages). (1) Does the ALL engage in the ACL-intact knee; and (2) where within the range of anterior tibial translation occurring in the ACL-sectioned knee does the ALL engage? 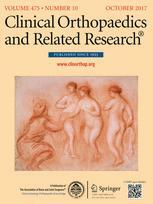 A robotic manipulator was used to measure anterior tibial translation, ACL forces, and ALL forces in 10 fresh-frozen cadaveric knees (10 donors; mean age, 41 ± 16 years; range, 20-64 years; eight male) in response to applied multiplanar torques. The engagement point of the ALL was defined as the anterior tibial translation at which the ALL began to carry at least 15% of the force carried by the native ACL; a threshold of 15% minimized the sensitivity of the engagement point of the ALL. This engagement point was compared with the maximum anterior tibial translation permitted in the ACL-intact condition using a paired Wilcoxon signed-rank test (p < 0.05). 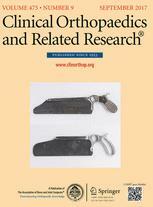 Normality of each outcome measure was confirmed using Kolmogorov-Smirnov tests (p < 0.05). The ALL engaged in five and four of 10 ACL-intact knees in response to multiplanar torques at 15° and 30° of flexion, respectively. Among the nine of 10 knees in which the ALL engaged with the ACL sectioned, the ACL-intact motion limit, and ALL engagement point, respectively, averaged 1.5 ± 1.1 mm and 5.4 ± 4.1 mm at 15° of flexion and 2.0 ± 1.3 mm and 5.7 ± 2.7 mm at 30° of flexion. Thus, the ALL engaged 3.8 ± 3.1 mm (95% confidence interval [CI], 1.4-6.3 mm; p = 0.027) and 3.7 ± 2.4 mm (95% CI, 2.1-5.3 mm; p = 0.008) beyond the maximum anterior tibial translation of the ACL-intact knee at 15° and 30° of flexion, respectively. 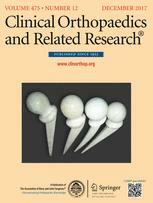 In this in vitro, cadaveric study, the ALL engaged in up to half of the ACL-intact knees. In the ACL-sectioned knees, the ALL engaged beyond the ACL-intact limit of anterior subluxation on average in response to multiplanar torques, albeit with variability that likely reflects interspecimen heterogeneity in ALL anatomy. 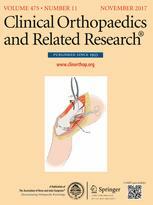 The findings suggest that surgical variables such as the joint position and tension at which lateral extraarticular grafts and tenodeses are fixed might be able to be tuned to control where within the range of knee motion the graft tissue is engaged to restrain joint motion on a patient-specific basis.